HE STRONGLY BELIEVES IN ACHIEVING RATHER THAN DOING. He believes in taking up challenging assignment where he can continue to apply his Social, Administrative & Hospital management skills in a wide exposure of medical services keeping a positive, committed &targeted attitude. An M.B.B.S from UNIVERSITY COLLEGE OF MEDICAL SCIENCES, (UCMS), UNIVERSITY OF DELHI in 1978 followed by M.D (Anesthesiology) from ALL INDIA INSTITUTE OF MEDICAL SCIENCE (AIIMS), NEW DELHI IN 1981. With a total 35 years of experience since 1981 Dr. Bhagat is currently the Medical Director of Bhagat Hospital Pvt. Ltd., New Delhi. His past responsibilities here are the overall management & administration of hospital as per ISO standards, hospital team direction & motivation, new project planning & its implementation, establishment & operation planning management of upcoming hospitals. He is the force behind the growth and success of Bhagat hospitals. Dr. Bhagat was elected President of the IMA (Indian Medical Association) Janakpuri twice along with his other important positions held in Delhi Medical Association Nursing Forum. He has been a life member of Indian Society of Anesthesiology.Vice Chairman of NGO called Godhuli looking after the education of slum children. He is managing another NGO ‘MUSKAN – SOCIETY FOR SPREADING HAPPINESS’ under its banner he does all his social work. He has been awarded –Service to humanity award by Rotary Blood Bank for his efforts in voluntary blood donation and many other awards by DMA, IMA. He is well known social activist and always keeps his foot forward for any kind of work related to the benefit of the society. It is on these ideas and principles that he founded Bhagat Hospital which is now grown into the Bhagat Hospitals Pvt. Ltd. to provide health care services in the neighborhood and to semi-urban population. In 2009 he opened another hospital called Bhagat Chandra Hospital in Mahavir Enclave, New Delhi This hospital is unique example of collaboration between Bhagat hospital and various other professionals & professional organizations to provide all round services & maintaining high standards. In this project Dr. C M Bhagat with his organizational and motivational skills has been able to build a strong team of professionals and professional bodies which will be difficult to match. He was instrumental in developing another hospital in Auchandi- Bawana for Delhi Arya Pratinidhi Sabha, hospital is called Diwan Chand Gokul Chand Smarak hospital and is providing services to the neighboring villages. This project is again example of participation to various philanthropy persons and local population. People from the neighboring villages have contributed funds for the development of this particular hospital. He wrote the book “WHY WE DO NOT LOSE WEIGHT”. His mission for life is to help establish basic health services for the people particularly of rural population. For last 5 years he has been working for quality in health care and joined an organization called CAHO (Consortium of Accredited Health Organization) and is currentlyworking towards the goal of quality. He was instrumental in getting full accreditation for Bhagat Chandra Hospital (BCH),National Neonatology Forum accreditation for nursery and now the process of accreditation of Bhagat Hospital is on. Working tirelessly in handling the problem of violence in health care system. Other areas of activity are CGHS rates, costing in health care, insurance sector. 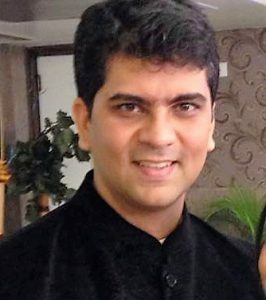 Dr. Chander Mohan Bhagat has host of other activities like gardening, farming, learning music interacting with people, pets, excursions, teaching, photography and protected farming etc. Dr. UPASNA BHAGAT passed MBBS from LSRM Medical College Meerut. DGO & MD (Gynaecology & Obstetrics) from Maulana Azad Medical College, Delhi University in 1984 and practiced as a Senior Resident in St. Stephen’s Hospital. She started private practice with her own clinic and associated with local hospitals and nursing homes. In 1992 she started her own establishment by the name of Bhagat Hospital at Janak Puri, New Delhi. 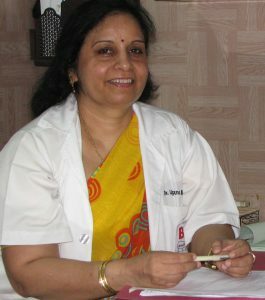 After successfully working as an Obstetrician &Gynaecologist for nearly 10 year, Dr. Upasna went for special training in Ultra Sonography and Color Doppler (FOGSI recognized), after which she took training in the field of Infertility from Institute of Reproduction Medicine, Salt lake city Kolkata. Dr. Upasna Bhagat Is Head of Department, Obstetrics, Gynecology and Infertility at Bhagat Chandra Hospital, Dwarka and Bhagat Hospital, Janak Puri. She specializes in Infertility treatment and runs the IVF Lab under the banner of Bavishi Bhagat Fertility Institute located at Bhagat Chandra Hospital.Under her supervision 100 plus child births are conducted per month and good number of Major and Minor Surgeries are done in the department of Obstetrics and Gynaecology. Dr. Upasna is married to Dr. C.M.Bhagat (Anesthesia) who is a senior Anesthesiologist and has excellent administration skills which he portrays managing two hospitals at present. The Chief Operating Officer of Bhagat Hospitals has done his Bachelors in Business Administration from Indian Institute of Planning & Management and has obtained post graduate diplomas in Hospital & Health Care Management and Medico Legal Systems from Symbiosis Institute of Health Sciences. After learning practical skill of managing a hospital under the guidance of his father, Dr. C.M Bhagat, Director, he is now helping him in managing the two hospitals under the banner of Bhagat Hospitals. In the initial days working he had managed to During his first years of work at Bhagat Hospital he learnt the working pattern of the different departments and their interconnectivity. He successfully managed to implement and get certification of ISO 9001:2000 at Bhagat Hospital by the year 2006. He has also managed to upgrade the system to ISO 9001:2008. He has supported his father in the expansion and upbringing of Bhagat Chandra Hospital. In today’s date they have managed to achieve the aim of opening a 120 beds hospital with all the ultra-modern facilities. His key responsibility areas are the smooth running of the hospital, patient satisfaction, Business Development for the hospitals, Human Resource Management and other managerial aspects of the hospital. He takes care of administrative activities of all non-medical departments such as Accounts, HR, IT, etc. He has a keen interest in Quality Management in hospitals and has been working on the subject since 2005. He has been one of the key elements in Quality Certifications of both the hospitals. Mahim has learnt to work on the footsteps of his father and aims to support his father in full filling his dreams of providing quality health care to the masses at an affordable price. 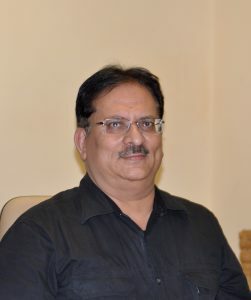 He looks forward to provide quality services to the satisfaction of the patients so as to make people aware of Bhagat Hospitals as a brand to be associated for all kinds of health care services, and to take the director’s vision to the public and make this hospital into a multi super specialty hospital. He has recently been certified as a ‘Certified Professional for Quality Implementation (Basic)’ by Consortium of Accredited Healthcare Organization (CAHO) in association with National Accreditation Board of Hospitals & Healthcare Providers (NABH).